Your CV is a tool with one purpose: to gain an interview. It should represent you, paint you in the best possible light and sell your attributes to a prospective employer that you have what it takes to be successful in your chosen position or career. You don’t have much time to impress with your CV – research shows that employers scan, rather than read, CVs – so to make sure it stimulates interest. Once you secure an interview its then time to impress at interview stage. Once the job has been secured, then learn how you can build and develop your career with our networking guide. 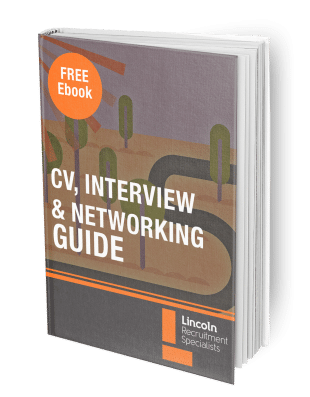 In this guide we provide you with great tips and advice on the CV, Interview and Networking process as penned by our recruitment experts.